Put simply, equity financing refers to the sale of an ownership interest, to raise capital for business purposes. It can range in scale — from a few thousand pounds raised by a business owner’s friends and family, to millions provided by giant corporate organisations, such as Google. 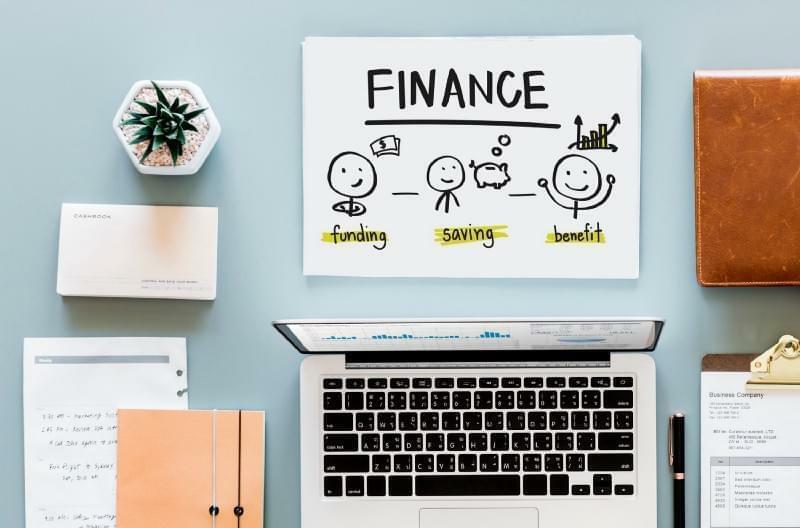 An important thing to remember about equity financing is that it’s different from debt financing, which refers to funds borrowed by a business. ● Investors: Outside investors can provide the business with both start-up and a continuing source of capital. ● Owners: The business founders can provide their own capital in exchange for equity. What is equity financing used for? Equity financing is popular among start-ups all over the world, as generally, investments don’t have to be repaid with monthly payments. This means the cash flow can be used for other key elements of keeping a young business running. Relationships with equity investors can last a long time — while building up your business, you can gain knowledge, experience and industry connections as you grow! Family and friends: Offering a partnership or share in your business to family or friends in return for equity is an easy way of getting finance. Venture capitalists: Venture capitalists are large corporations that invest large amounts in start-up businesses. They tend to seek businesses with with the potential for high growth and large profits. Stock market: Also known as an Initial Public Offering (IPO), floating on the stock market involves publicly offering shares to raise capital. This is a more expensive option and carries the risk of not raising the funds needed because of poor economic conditions. EIS: The Enterprise Investment Scheme helps smaller high-risk companies raise finance, by offering tax relief to investors who purchase shares in those companies. SEIS: The Seed Enterprise Investment Scheme (SEIS) offers great tax efficient benefits to investors, in return for investment in small and early stage start-up businesses in the UK. VCT: A venture capital trust or VCT is a highly tax efficient UK closed-end collective investment scheme, designed to provide private equity capital for small expanding companies, and income (in the form of dividend distributions) and/or capital gains for investors. Crowdfunding is a way of raising finance by asking a large number of people to each provide a smaller amount of money. Traditionally, financing a business, project or venture involves asking a few people for large sums of money. Crowdfunding turns this idea around, using the internet to talk to thousands — if not millions — of potential funders. Typically, those seeking funds will set up a profile of their project on a website, such as those run by our members. They can then use social media, alongside traditional networks of friends, family and work acquaintances, to raise money. The Enterprise Investment Scheme helps smaller high-risk companies raise finance, by offering tax relief to investors who purchase shares in those companies. ○ An individual with no more than a 30% interest in the company can reduce their income tax liability by up to 30% of the amount invested. ○ There is no minimum subscription per company and the maximum in respect of which a subscriber may obtain income tax relief in any year is £1m. ○ Up to £2m may be invested, of which £1m could be applied to the previous tax year. ○ Individuals each have an EIS allowance of £1m, so a married couple could invest up to £2m per tax year. ○ Tax on capital gains realised on a different asset can be deferred for as long as the EIS qualifying shares are held. ○ Deferral relief is unlimited; this relief is not limited to investments of £1m per annum and can be claimed by investors (individuals or trustees) whose interest in the company exceeds 30%. ○ If EIS shares are disposed of at any time at a loss, such loss can be set against the investor’s capital gains, or their income in the year of disposal or the previous year. ○ For losses offset against income, the net effect is to limit the investment exposure to 38.5p in the £1 for a 45% taxpayer, if the shares were to become totally worthless. ● SEIS investors can place a maximum of £100,000 in a single tax year, which can be spread over a number of companies. ● A company can raise no more than £150,000 in total via SEIS investment. ● Investors cannot control the company receiving their capital, and must not hold more than a 30% stake in the company in which they invest. ● Investors can receive up to 50% tax relief in the tax year the investment is made, regardless of their marginal rate. ● The company seeking investment must be based in the UK, and have a permanent establishment in the British Isles. ● The company must have fewer than 25 employees. If the company is the parent company of a group, that figure applies to the whole group. ● The company must be no more than two years old. ● The company must have assets of less than £200,000. ● The company has to trade in an approved sector — generally not in finance or investment, for example, a property company can’t raise capital through SEIS. A VCT is a company whose shares trade on the London stock market, just like Barclays or Vodafone. However, rather than banking or telecoms, a VCT aims to make money by investing in other companies. These are usually small companies who are looking for further investment to help develop their business. Without funding from venture capitalists many companies we consider household names would never have been able to grow their businesses into what they are today. To encourage investment in this crucial area, the government offers generous tax benefits to investors, including tax relief of up to 30% when investing. Tax rules can change and any benefits depend on personal circumstances. Profits are generally paid to VCT investors as tax-free dividends, which are the primary source of return for VCT investors. The VCT manager will also provide expertise to help their chosen firms expand and provide better returns for their investors. They normally look to sell their share of the business three to seven years after investing and reinvest the capital in the next opportunity. Private equity refers to investment funds organised as limited partnershipsthat are not publicly traded and whose investors are large institutional investors, university endowments, or wealthy individuals. Private equity might create value by overcoming agency costs and better aligning the incentives of corporate managers with those of their shareholders. The seed round is the earliest round of financing, often provided by the company’s founders, friends and family, and angel investors, either together or within their own distinct seed rounds. Equity crowdfunding is becoming a more common method of augmenting capital raised at the seed stage. It is less common to see institutional VC investors at this stage. Seed capital is a high-risk investment that is often offered in exchange for an equity stake in the enterprise. Because the seed round is often financed by angel investors, some simply call it the “angel round”. Seed Round: Refers to a series of related investments in which 15 or less investors “seed” a new company with anywhere from $50,000 to $2 million. This money is often used to support initial market research and early product development. Investors are typically rewarded with convertible notes, equity, or a preferred stock option in exchange for their investment. The first round of shares offered to external investors during early-stage investment. Valuation is determined by a number of factors including proof of concept, team, market size and the company’s progress with its seed capital. The second stage is focused on continuing to scale the company. It is likely that a business model has been established and there is traction with customers. Valuation for a Series B round is determined by revenue generated, company’s assets and its performance in the industry. A venture capital firm goes for this round of funding when the company has proved it is a success in the market. The company goes for Series C round of funding when it looks for greater market share, acquisitions, or to develop more products and services. Valuation of company at this juncture is done on the basis of hard data points. If you’d like to keep abreast of companies that are receiving equity funding then head over to Crunchbase.